"So what did you go out to see? A prophet? Yes, and I tell you, John is more than a prophet." As Amos had prophesied, there was a famine in the land of God's people. It was a horrible famine. It was a long famine! It was a famine for the Word of the LORD. God's voice was not heard through his prophets. The passionate fire that once had spoken to Israel was a silent dying ember. God's chosen people suffered; they believed the Almighty heard them, but he refused to act decisively on their behalf and refused to speak directly to them. However, when John began to preach, the voice of God was heard again. Many somehow knew it. Many of them somehow recognized it was God's Word through a man's voice. The famine was over. They poured out into the desert lands to see him and hear God's truth. They were hungry, and only God's Word could feed that empty place in their souls. 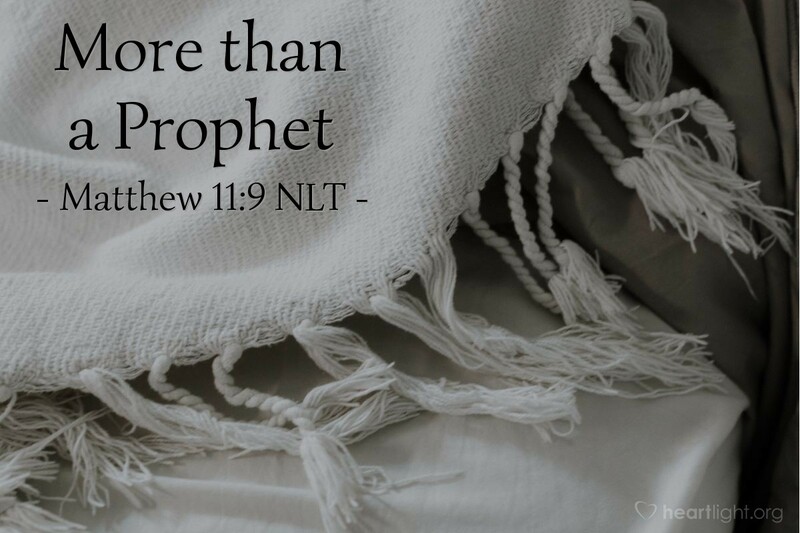 But John was more than a prophet. His coming had been prophesied. He was a servant to others who spoke boldly to the people about God's truth. He especially served the Christ, preparing the hearts of the people for the Messiah's ministry. John's voice was the signal that the prophets' words were being fulfilled—not years later, but at that very moment. Almighty God, thank you for fulfilling your promises. Thank you for choosing ordinary people to do extraordinary things. Thanks for using special servants to re-awaken hope and speak your Word through their own voices. Give me the fervor, the passion, and the courage to share your gospel message today and each day of my life. In Jesus' name I pray. Amen.